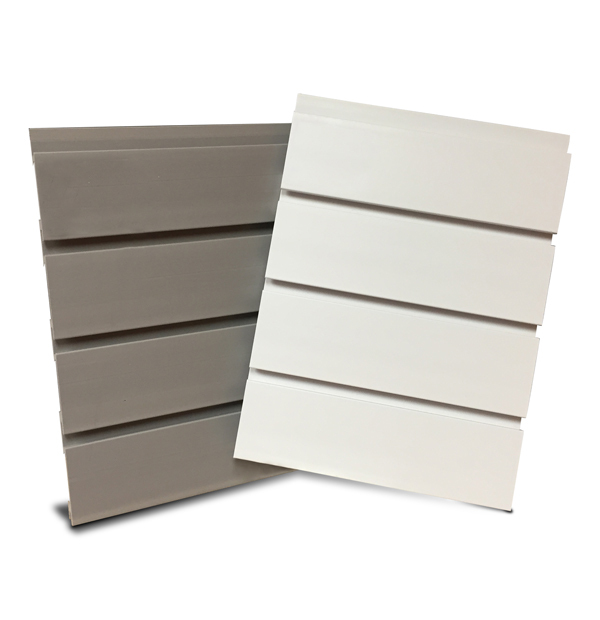 PVC slatwall is strong and durable. With its lightweight nature, PVC slatwall is easy to handle and install. PVC Series is water and moisture resistant, making it ideal for a variety of environments, such as outdoor retail kiosks, specialty wall fixtures, and garages. Using standard slatwall accessories makes display, organization, and storage easy. Subscribe to our awesome Newsletters and email notification of "Ask the Expert" video Blog posts to get access to all the cool stuff happening with us.